Dale Robertson grew up in Rhode Island and started boating on Narragansett Bay at the age of eight which fostered his life long love of boating. In 1985 he graduated from the University of Rhode Island with degrees in Fisheries and Marine Technology and Resource Development. That summer Dale started working part time for a new boat/brokerage firm in RI and shortly after found that helping his clients find just the right boat was his true calling. 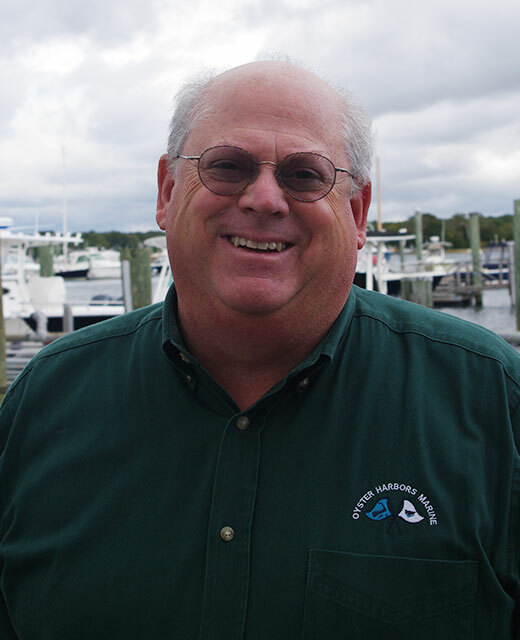 In 1993 Dale started working with Oyster Harbors Marine and he and his wife Kathy moved to Cape Cod. Dale and his family enjoy boating and fishing on Cape Cod aboard their 28’ Pursuit “Ranger”. He specializes in the sale of new and brokerage power boats.